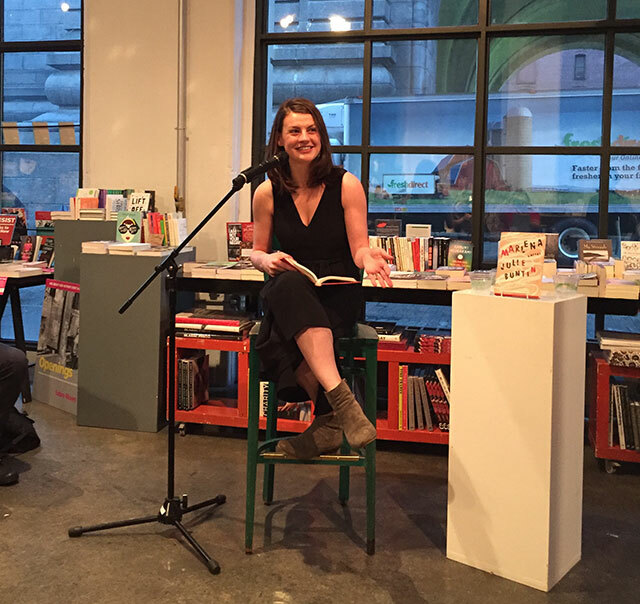 Julie Buntin launched her debut novel, Marlena, last week. The novel explores female friendship as Cat, now an adult, looks back on her teenage years and her friendship with Marlena, who dies as a girl. 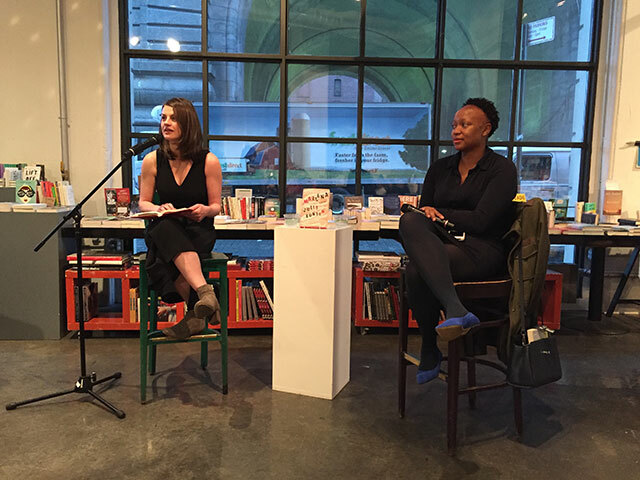 Buntin discussed the book with Kashana Cauley. Cat and Marlena grow up in an isolated area of Michigan where winter lasts eight months out of the year. The summers though are beautiful and the weather attracts part-time residents with a great deal more money than the full-time residents. Wealth disparity and isolation are the two constants of the girls’ lives. Buntin explains that the place is similar to where she was raised, but distinctly fictional. “I didn’t want to have to be loyal to the truth,” she says. Teenagers are looking to connect with someone who sees the world they way they do, Buntin explains, and teenage girls enjoy a casual intimacy that is unique to that time in their lives. It is a phase of life where people end up defining who they are and who they in relation to other people. Cat and Marlena are separated by class in the novel, and this allowed a way to enter their friendship. “I wanted their relationship to have an element of randomness,” Buntin says. Money influences all sorts of decisions in small ways. It impacts what you drink, what you buy at the bodega, Buntin explains. Buntin has written about living on a tight budget as a child, and how that has affected her. Transitions across economic class is the American story, Buntin says. Class and money are baked into the novel’s setting. It’s a town that more than doubles in population in the summer, and that wealth disparity is very much evident. Marlena in one sense is writing about what Buntin’s life could have been. She feels like she escaped through a backdoor, and adds that often people talk about the midwest as escaping. As a place, it’s fine, but isolated. New York, she says, is amazing because it’s filled with people from all over and who have had a variety of experiences. The novel is framed around Cat as an adult and struggling with alcohol looking back on her childhood friendship. Cat as an adult was easy and fun to write, Buntin says, but as their creator, she wanted to protect her teenage characters. The teenage narrative came first, and then later she added the frame of the older Cat looking back. The novel went through significant revisions.